Having read several other books set against the background of the Foundation saga, I decided to go back and read the original books. 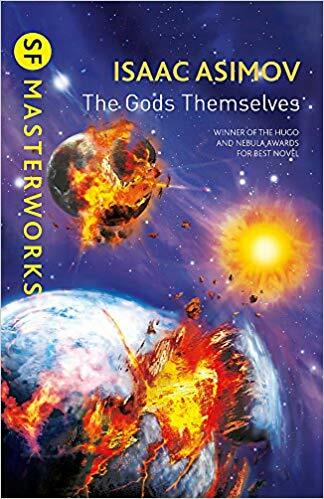 I was impressed by the pace with which Asimov tells the stories – where David Brin’s sequel is 430 pages, each volume in Asimov’s trilogy is about 230 pages. Yet none of the passages in Asimov’s books feels rushed – it’s just that he tells a part of the story in beautiful prose, then moves swiftly on to another period/place. The gaps that he leaves give other authors the space to fill in their own stories, which is how the sequel trilogy fits in. In fact, I enjoyed Asimov’s trilogy much more this time having recently read the others. This is the third of the second foundation trilogy written by authors Benford, Bear and Brin. It tells the story of Hari Seldon’s ‘Last Hurrah’ as he undertakes a voyage away from Trantor in his old age. I really appreciated how this author brought the many threads of the stories together, including the motivation behind many of R. Daneel Olivaw’s plans. In fact, it’s the first time I’ve fully grasped the inter-robot battles and the reasons why many did not support Olivaw’s Zero’th law revolution. Foundation and Chaos is the second in a trilogy of books written after Isaac Asimov’s death by distinguished Science Fiction writers. The first was Foundation and Fear, which was okay but included lengthy passages concerning Voltaire and Joan of Arc which I didn’t really follow. This book is much better and centres on the growing populations of mentalics, humans with an assortment of mental powers (like persuasion). It also includes Hari Seldon’s trial as a traitor against the Empire (his prediction of the fall of the Empire being seen as treachery). The debate between rival bands of robots (the Giskardians led by R Daneel and the Calvinians), differentiated by their adoption of the zero’th law or otherwise, is fascinating. 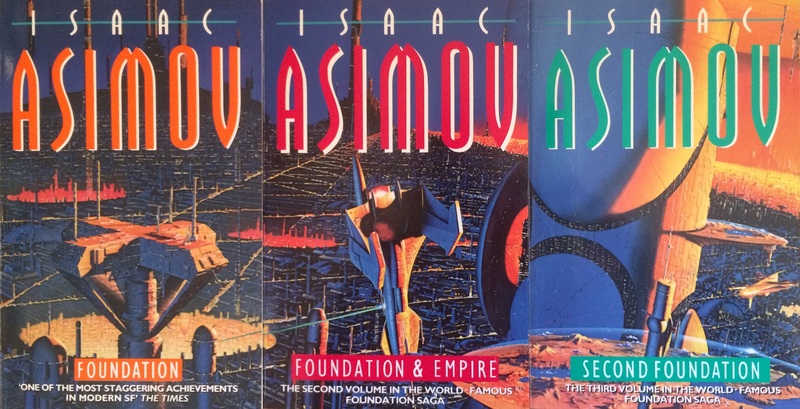 I picked up this book, the first of “The Second Foundation Trilogy, authorised by the Estate of Isaac Asimov” after enjoying Foundation and Earth. The author admits that he hasn’t tried to imitate the Asimov style – instead, his aim was to explore the character Hari Seldon and his early work on Psychohistory. I really enjoyed the passages concerning Seldon and his wife Dors – especially on the tourist planet when they were immersed into creatures called Pans. However, I couldn’t fathom the passages based on Joan of Arc and Voltaire and ended up skipping whole chapters, without noticeably losing the main thread. I wouldn’t rush to read another by Benford, but I’ll brave the next in this series at some point (it’s written by someone else!). I must have read the Foundation novels years ago and was intrigued to spot this sequel in the book shop. It’s a brilliant read, packed full of technology, philosophy, planetary adventures and even politics. Highly recommended.